Educating students from a biblical worldview and equipping them for a lifetime of learning, leadership and service. Plymouth Christian Academy, a ministry of Calvary Baptist Church, is a non-denominational, private college preparatory Christian school located on a beautiful 45 acre campus in the metro Detroit area. Since 1976, our preschool, kindergarten, elementary and secondary programs have provided a quality education designed to advance each student in five life areas: spiritual, academic, creative, social, and physical. 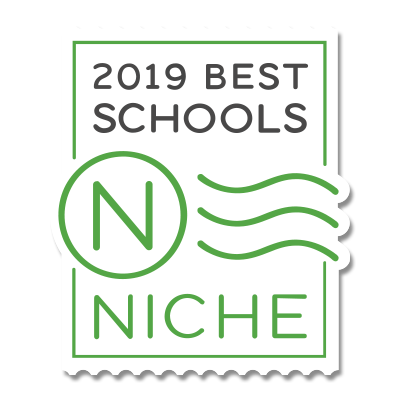 PCA is honored to be ranked the 2019 #1 Best Christian High School in Wayne County. Learn more about how Niche rankings are determined by clicking on the Niche badge. Visit the PCA calendar by clicking HERE.